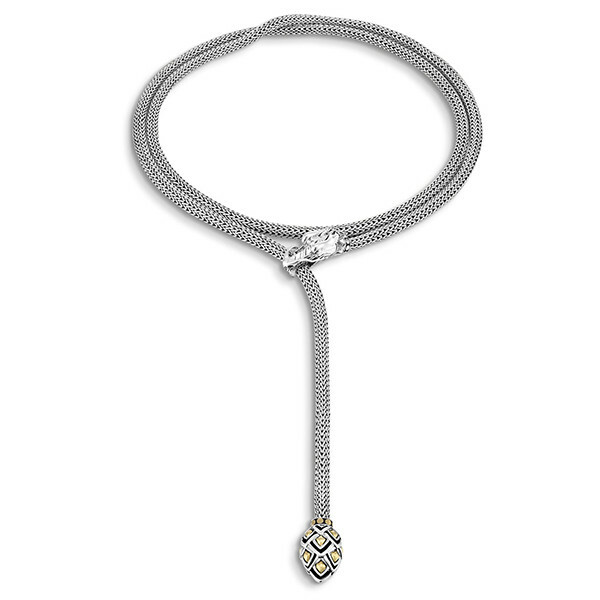 This lariat necklace from the Naga collection by John Hardy is a chic piece of jewelry. The classic chain is handwoven to 20" with the dragon's head at one end securing the piece. 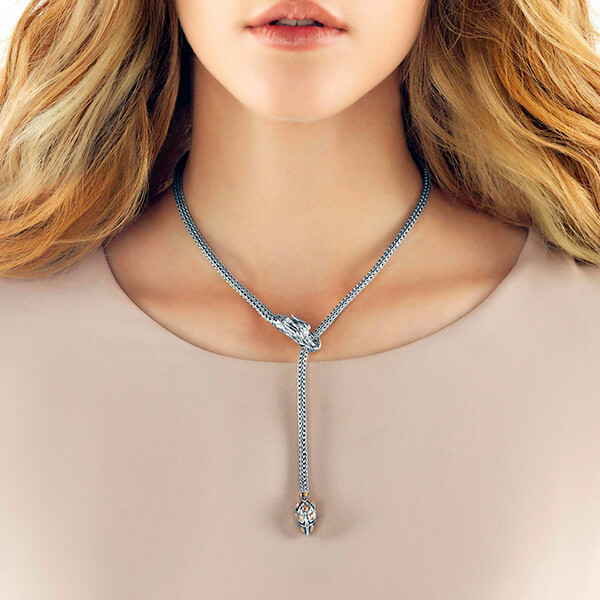 The other end of the lariat showcases the tip of the dragon's tail meticulously carved with scales and dots that are embellished with 18kt gold accents. The quiet elegance of this John Hardy dragon exudes strength and fashion wisdom!